Even for movie buffs, it’s often easier to understand cinematography on an emotional level, rather than a technical one. But Ryan Hollinger of the YouTube series Screen Smart aims to educate his audience on the technical ways that cinematic visuals are used to enhance more traditional forms of storytelling. We’ve previously highlighted his video essays on Saving Private Ryan and The Blair Witch Project, and his latest video explores the visual style of USA’s Mr. Robot. As he breaks down the ways in which cinematography and editing can emphasize things like status shifts and emotional turning points, Hollinger also offers definitions of basic filmmaking vocabulary. He explains concepts like eyeline matches and continuity editing, then explores how Mr. Robot bucks convention to intentionally create a sense of disorientation. 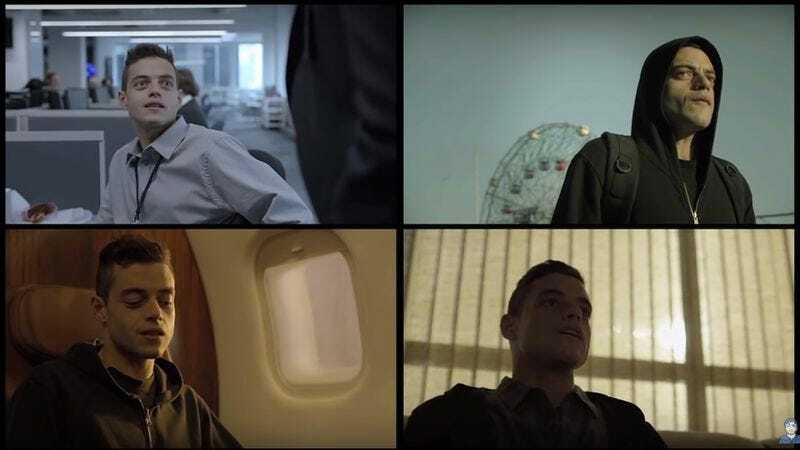 For those who enjoyed this essay, Hollinger has another Mr. Robot-themed video called “What Makes Mr. Robot Special,” which delves into the show’s depiction of mental illness.